Welcome to the latest work and updates from the design and web team. The team manages all web projects across Canonical. From www.ubuntu.com to the Juju GUI we help to bring beauty and consistency to all the web projects. 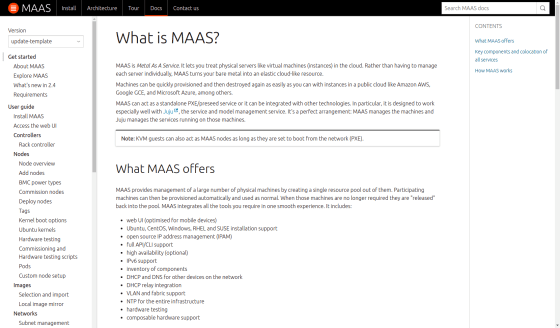 We ran our first team code school which was “Install & run MAAS”. The headings hierarchy has been completely rewritten. The idea was to select much smaller heading styling for applications as they do not require large titles like websites do. The UX and design team spend three days in a workshop with printouts of each interface of MAAS. The workshop identified the number of common patterns and interface issues. The design problems have been described and the UX and design team will work on providing solutions for these to be rolled out across the application. The JAAS developers have been working on converting all the jujucharms.com web pages to the latest Vanilla framework. All the brochure style pages have been converted apart the store itself. This will make development and maintenance of these pages will be much easier and consistent with the other apps and sites across Canonical. We have added a copy to clipboard button on the examples in the vanillaframework.io docs. This makes it much easier to take example code when developing. The design team has updated the component specs for each pattern in Vanilla. Design can now drive the evolution of Vanilla by changing the specs and create tasks for developers to implement them. Working with the documentation team, we have updated the documentation template to the latest Vanilla. Using a common template allows for issues to be solved in one place and results in a common layout. 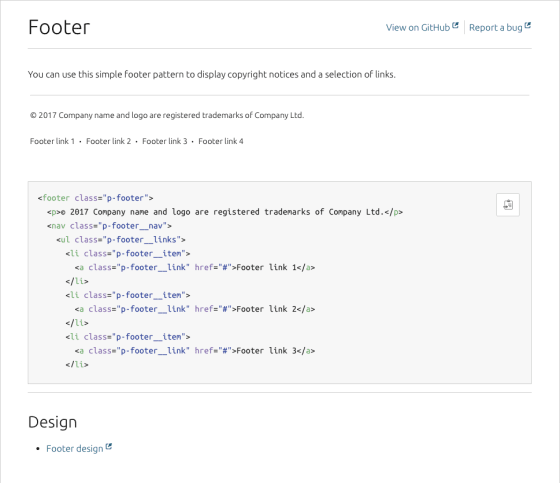 So you should see updates to documentation across the company in the next release of the documentation. The squad have been working on creating a blog section on the snapcraft.io website. 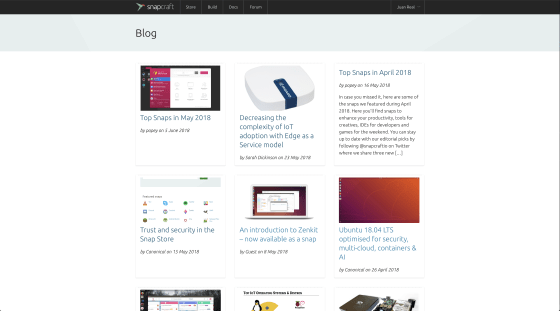 The articles are integrated from blog.ubuntu.com. The content strategy is currently being worked out with marketing. We have modularised the snap store so that the application can be configured differently. This makes setup and maintenance of the codebase much easier. By redefining the way of launching the application we gave the possibility to a developer to add custom configurations, for example, a new layout, new colours/etc. The design and UX team have been working on the feature to search the snap store filtered by category. The mega menu now has a translucent background to indicate where the menu ends and the content behind the menu begins. Clicking on the background will close the menu too. The team have been working on creating a page feedback widget. When a user clicks the widget at the bottom of the page a module appears which asks for feedback on the current page. This will give the UX team insights into the performance of a particular page. The team worked with the marketing team to create a takeover on the homepage of www.ubuntu.com. Linking to a page developed by the marketing team within ubuntu.com. We launched and maintained the internal review project which went well but needed some last hour changes to present the correct data. We have started work improving the response times of snapcraft.io across the stack. This iteration we updated the Gunicorn WSGI server configuration to handle more bandwidth. The brand team has continued the office refurb project. The documentation team have been busy working on documentation for upcoming releases plus looking into more community contributed documentation. Ubuntu offers all the training, software infrastructure, tools, services and support you need for your public and private clouds. I agree to receive information about Canonical’s products and services.